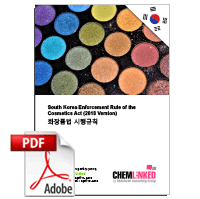 Enforcement Rule of the Cosmetics Act is pursuant to South Korean overarching regulation Cosmetics Act and specifies detailed rules to regulate production and selling of cosmetics. It has been revised constantly in line with the revision of Cosmetics Act. This version was enforced on Apr.19, 2018. 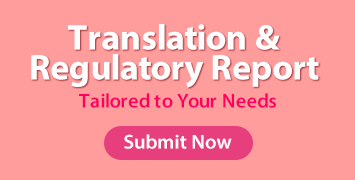 Please contact with cosmetic@chemlinked.com if the English version of the latest Enforcement Rule enforced on Mar.14, 2019 is needed. Article 5: Registration of Changes in Manufacturing Business, etc. Article 31: Re-issuance, etc. of Registration Certificates, etc.